Rob Tillett, one of the founders of Astrology on the Web, discusses the Solstices, which, along with the Equinoxes, mark the four great arms of the Cardinal Cross in the tropical year. The word "Solstice" derives from the Latin Sol + systere, meaning "Sun" + "standing still". How can the Sun stand still? 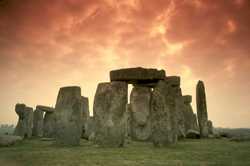 Well, as the Ancients discovered and calibrated, using remarkable prehistoric observatories such as Stonehenge in the south-west of England, the Sun seems to travel (decline) ever so slightly southward in the ecliptic each day for some six months of the year, beginning in what is now the month of June. The Sun in December also appears to halt for some three days in his journey, before commencing the slow dance northward once more for the next six months – before halting at the opposite solstice and starting again. We can observe this over time by noting the way that the Sun is either slightly higher or lower in the sky at noon. The places in the ecliptic where the Sun seems to stand still (at its furthest point either north or south of the equator) mark the solstices. These are the tropics. The northernmost point marks the Summer Solstice, and the southernmost the Winter Solstice, when viewed from the northern hemisphere. The Sun at maximum declination appears to stand still at these points, for about three days. This process is eternally repeated, though due to the phenomenon known as the precession of the Equinoxes, its actual starting point in the Zodiac moves back ever so slightly from year to year: this has given us the Ages of the World, such as the one we are soon to enter, the famous Age of Aquarius. People across the world, in every culture, have assigned a great deal of meaning to this journey of the Sun. Vast amounts of mythology, including important religious and social customs, have accumulated around it. At the time of the Winter Solstice (to be exact, just as the solstice ended), people celebrated the birth of the Sun as he began his life-giving journey north on December 25, now most widely celebrated as Christmas Day. For a detailed examination of this, though from a decidedly non-Christian viewpoint, check out M.D.Magee's Christmas, a fascinating exposition of these mid-winter festivities. Midsummer has historically been the central point of the magical year: even today in some places, traditional hilltop bonfires are lit to revive the power of the Sun; flaming disks are thrown into the air; blazing wheels are rolled downhill; leaping and dancing around and through the fire are ritual encouragements for maximising the harvest. Magical powers are heightened and the little people are about. It is the ideal time for gathering magical herbs: pluck them before dawn, before breakfast, while the dew still wets the petals. Fern and fern-seed is gathered on Mid-Summer's Eve, to harness the power of the Sun. Golden solar flowers such as St John's wort, mugwort and mistletoe, the golden bough, are worn as garlands. Astrologically, the June Solstice marks the entry of the Sun into the Cardinal, Water Sign of Cancer. The Tropic of Cancer (23°N26') is the actual degree of latitude over which the Sun stops in its journey north, and then turns, having gone as far north as it is going to each year. 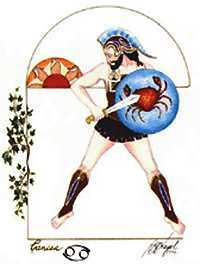 Cancer is ruled by the Moon and Midsummer celebrates the elemental powers of fire and water, so people would light fires and bathe in the dew on the morning of Midsummer's Day – as indeed they still do in many parts of the world. Even in the twenty-first century, people still love to come together and surf the cosmic wave of energy that is released at this time. Every person in the Holy Grail – the Sacred Chalice, planet Earth's Light Grid – participates in the distribution of the Life and in turn restores the Divine Plan on Earth. As the Life enters and flows through all individuals and their world, it makes the whole world sacred. For a neat graphic and explanation of the celestial show, check out Archaeoastronomy.com. The Winter Solstice is the time when the Sun halts over the Tropic of Capricorn (23°S26') for some three days at the end of its tropical journey south, before recommencing its tropical journey north. 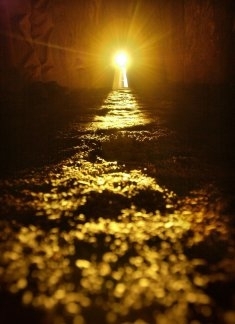 This, the longest night of the year, happens in 2011 on the morning of the 21st of December (UT). It is the focus of religious and social festivities in all cultures, including the Christian celebration of Christmas. The solsticial period lasts some three days as a rule, so when the Sun begins to rise earlier again after three days at its lowest ebb, it has been cause for jubilation since prehistoric times, for it symbolizes the rebirth of the divine and glorious Spirit of Life. The birth of the Sun has been celebrated since time immemorial on or around the solstice, which is why the birth of Jesus is celebrated at this time (December 25). Ancient Rome recognised it in the day of the birth of the Invincible Sun, so the choice of this day for Christmas was a handy christianization of the established festival of Mithras, the Sun God and a number of other Solar Heroes. The 21st of December 2012 has been the centre of mystical speculation for decades now, partly from adjusted calculations of the end of the Mayan Long Count Calendar, partly from science fiction and partly from eschatological convergences of supposed astronomical phenomena, such as the solar crossing of the galactic equator, solar flares, planetary alignment, magnetic reversal, etc., and new age and millenarian beliefs in end times, alien invasions (including the bizarre theory of the imminent appearance of the god-bearing planet Nibiru) and messianic prophecies that have conveniently zeroed in on 21/12/12. The chances are however, despite several powerful astrological factors at work this year (Mars Retrograde; Venus Retrograde; Uranus square Pluto etc), that not much will happen on December 21, 2012. So don't leap off the roof of your house expecting to be swept up in the arms of Jesus. The world is not likely to come to an end, although it would be a great thing were the inhabitants of Planet Earth to become more spiritually-oriented and an even greater thing were the ships of the Galactic Milieu to appear to introduce us to the higher state of Galactic Harmony and Universal Brotherhood. Or for Christ to come back in glory, or Maitreya, or the Kalki Avatar, the Age of Aquarius, Gotterdamerung or even the Whore of Babylon. Unfortunately, I don't see it. There's a great page on Wikipedia that discusses the 2012 phenomenon. Astrologically, the December Solstice marks the entry of the Sun into the Cardinal, Earth Sign of Capricorn. The Tropic of Capricorn (23°S26') is the actual degree of latitude over which the Sun stops in its journey south, and then turns, having gone as far south as it is going to go each year. 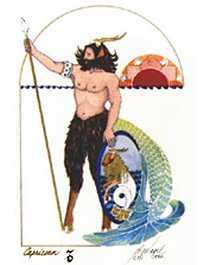 Capricorn is ruled by Saturn, so the ancient Roman festival of the solstice was called the Saturnalia. As with our festivities today, there was much feasting! Wine, women and song were spread liberally around; masters served their slaves, and the rule of law was turned upon its head! Indeed, until the Christian Church became the official religion of the Roman Empire in the 4th Century, Christmas was not actually an official festival of the Church. Its pagan nature was frowned on. Things have loosened up a bit since then. 1 NOTE: in southern latitudes, of course, the solstices are reversed, so that the mid-winter character of Christmas in the Northern Hemisphere becomes a hot mid-summer celebration in Australia, South Africa, South America, New Zealand and other places south of the equator. Naturally enough, the mid-summer celebrations in June become mid-winter chills down south! This presents something of a problem for Christianity and for Tropical Astrology, or any other seasonal philosophy with claims to universality, a question which is partially addressed on this site in an article on the Elemental Qualities, the building blocks of astrology. However, the tropical zodiac seems to delineate cultural forms (archetypes) within the Cosmic Mind. Our connection via the collective unconscious enables us to interpret these forms using astrology, even though the physical seasons may not actually comply with the symbolism. Click for more on The Living Signs.